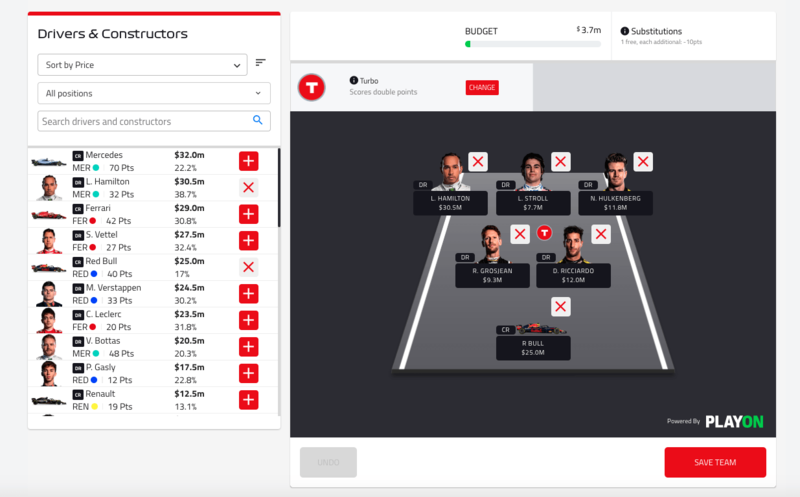 Formula 1 affirms that F1 Fantasy is an important part of its fan engagement strategy. In an interview with MarketScale, Max Métral (F1 Insight Manager) says that F1 has seen a significant uptake in the F1 Fantasy game. F1 Fantasy was launched a year ago, as part of a rebrand with a new logo, website and an OTT service. But the takeover by Liberty Media also resulted in a shift in strategy to digital and fan data. F1 fans, and sports fans in general, are craving to have access to more data. People are fans to a certain point that you allow them to be. Your job as an organization is creating various avenues for people to consume information about your sport. One of those avenues is a fantasy sports game, which opens a door to experience a sport on a new level and increases interest in otherwise underexposed aspects. One of the reasons that F1 Fantasy works it that fans become an F1 race engineer. It’s like sitting in the pit lane and analyzing your team’s performance and your job is to devise a strategy to win the race. “Knowledge is driving fandom. The more you know about the sport, the more likely you’ll be attracted and become a fan.” – Max Métral. Listen to the full interview by MarketScale, about the importance of data to F1 and how the organization uses that data to attract fans.